Using a crossbow and safe suction cup darts. The objective of Star Dart is to land the dart "IN" the yellow star. Any portion of the dart outside of the stars is unacceptable. Star Dart has come to be quite an addictive carnival game. It's perfect for ages 6 on up to adults. 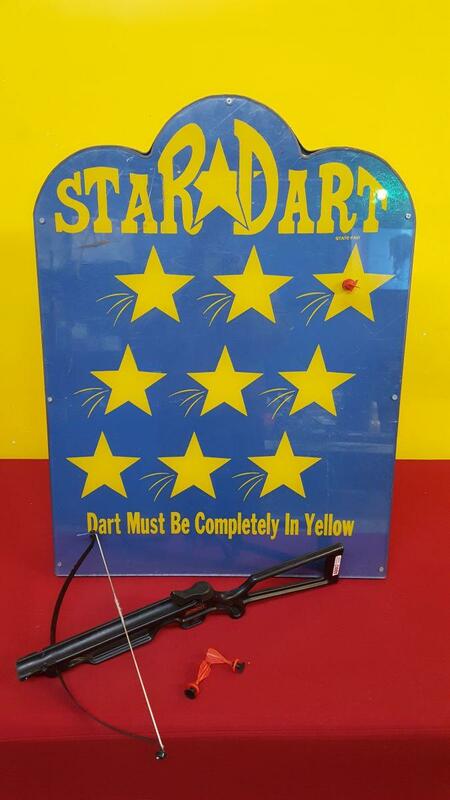 Star dart rentals include the game, 3 safe suction cup darts and the crossbow.